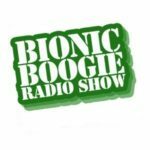 The Bionic Boogie Radio Show airs live on KissFM every Saturday afternoon at 3pm. Brought to by DJ Eddie Mac, with regular guests Barry Whiter, Melo Felo and a host of local and international DJs, catch a dose of Funk, Boogie, Hip-hop, Disco, Jazz, Reggae and more. KISS MEMBER DRIVE | YOU CAN DO IT! | RIGHT NOW! Soulstress Kylie Auldist caught up with Eddie Mac on Bionic Boogie. Missed it! Listen up here then!! !